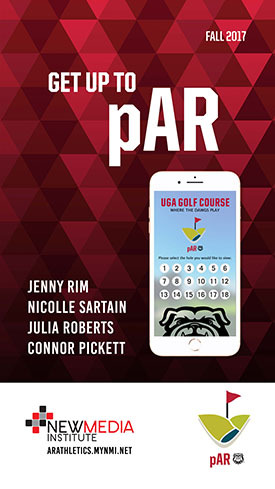 pAR is an augmented reality app that puts the University of Georgia Golf Course right in front of you. The app places a virtual representation of each hole on the UGA Golf Course in the user’s immediate environment with information about the hole and a bird’s eye view of the entire hole. Whether you are at home planning your next round of golf or teeing up with friends, pAR brings you all the information needed to bring your golf game up to par.